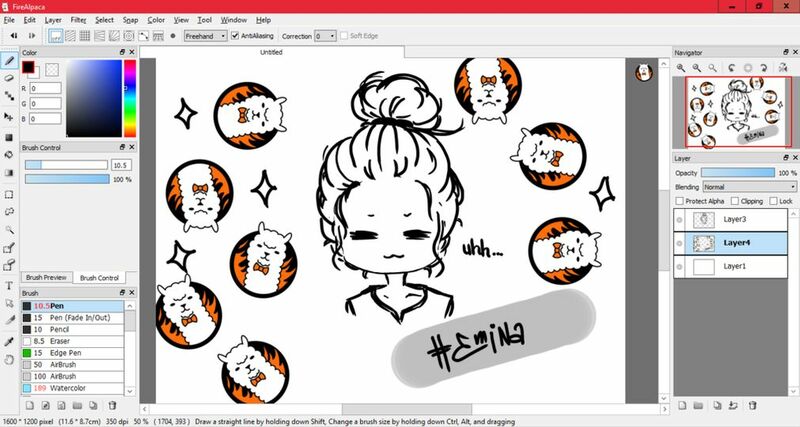 FireAlcapa is a very useful free paint tool for Windows. It has all the basic tools you need to illustrate an image, such as preset brushes (pen, pencil, airbrush, watercolor, leaf, flower etc.). 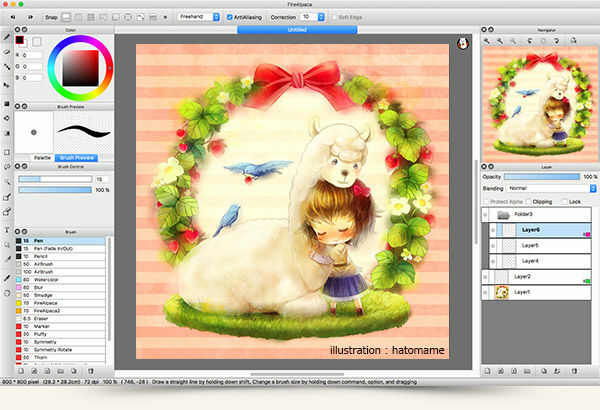 It also allows for manipulations including rotate, flip, resize, canvas size, filters, selections and more. All in all its a very powerful paint tool that could be a lot of fun to play with, and best of all it is available for free from its developer.